Born in Lebanon, a child of the Middle Eastern country's brutal 1975-1990 civil war, he migrated to the United States as a teenager, was student president at college and dreamt of studying for a PhD in Cambridge, England. Except he applied to the FBI as a dare and was the only one of his friends selected. With "The X-Files" big on television at the time, Soufan jokes that he was "more interested in aliens than terrorists." Instead, the only Arabic speaker on the FBI's Joint Terrorism Task Force in New York, he was thrust onto the frontline in the hunt for Al-Qaeda after the 1998 US embassy bombings in East Africa and the 2000 USS Cole bombing in Yemen. He travelled the world conducting investigations and interrogating suspects, but US intelligence proved ultimately unable to stop the September 11, 2001 attacks that killed nearly 3,000 people, among them Soufan's former boss. He calls the Al-Qaeda hijackings, which he watched on television from Yemen, "probably the most gut-wrenching moment in my life." Afterward, he was handed a manila envelope with intelligence he had been asking for since November 2000. "I don't know if angry is the word. Crushed. I don't know the feeling. I don't know the term to describe it, still today," he tells AFP in a recent interview in his New York office, an enormous US flag and framed awards on the wall. The bitter CIA-FBI rivalry that inadvertently paved the road to 9/11 is dissected in "The Looming Tower," a television mini-series on Hulu and Amazon Prime adapted from Lawrence Wright's best-selling, Pulitzer-prize winning book. With Soufan played by French actor Tahar Rahim -- the two have become friends -- and his FBI boss John O'Neill by Jeff Daniels, it narrates the power struggle between the CIA and the FBI, and their refusal to share intelligence. Soufan, 46, is delighted that the show educates a new generation about 9/11, challenges Muslim stereotypes and sends a message to young people, particularly from immigrant backgrounds who may feel alienated. "This is not only a TV series. This is a public service announcement," he says. "You have so many young people growing up in communities in the US, in Paris, in Brussels, in London and feeling that they don't fit... We're trying to reach out to them and say don't let cynicism take you down, don't believe Al-Qaeda and ISIS and their narrative," he adds. "Don't believe the us versus them," he says. "You can do the right thing and you can support your government, and your government will be there for you." 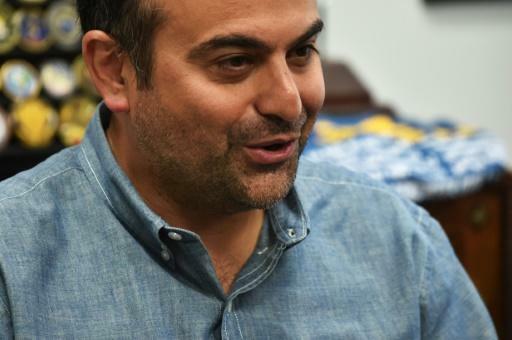 The real-life Soufan is brimming with jokes, fiercely intelligent and relaxed, apologizing for not dressing in a suit and tie for an on-camera interview. He happily shows off a Thompson submachine gun, the FBI's first defense against the mob in the 1930s, given today as retirement presents. "Now we have fancy stuff," Soufan jokes. "Fancy and very effective stuff." Soufan testified before US Congress and presidential commissions, but opposed torture and left the FBI in 2005. Two years later, he founded a security firm which works with governments all over the world. "It was time," he says simply of his decision. "You don't have to be inside in order to make the world a better place and that's what we try to do here." The Soufan Group, employing retired CIA and FBI officers, offers consultancy and training to governments, corporations, law enforcement and intelligence agencies around the world. A leading security expert and author, today he considers cyber the chief security threat as technology advances at a faster rate than laws and regulations. But he also struggles to imagine a Muslim boy from the Middle East walking so accepting a path in today's polarized America. "I think the US was very good to me in so many different ways. Even as a child and as a young man, I never felt discriminated against." An advocate of immigration, he understands a need to focus on illegals but says isolating communities is not the answer. 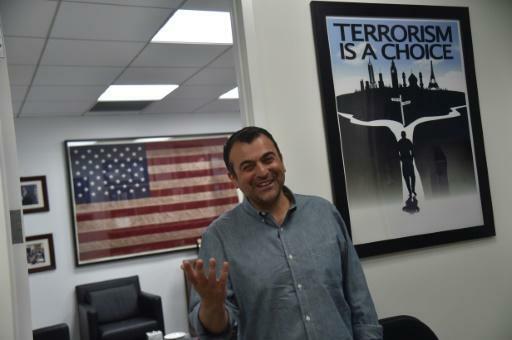 On his office wall hangs a photo of himself with Barack Obama but when it comes to US President Donald Trump, Soufan says they have never talked. So what would he say if he did? "I think that the job of a leader is to lead, not to mislead," he replies, not missing a beat.